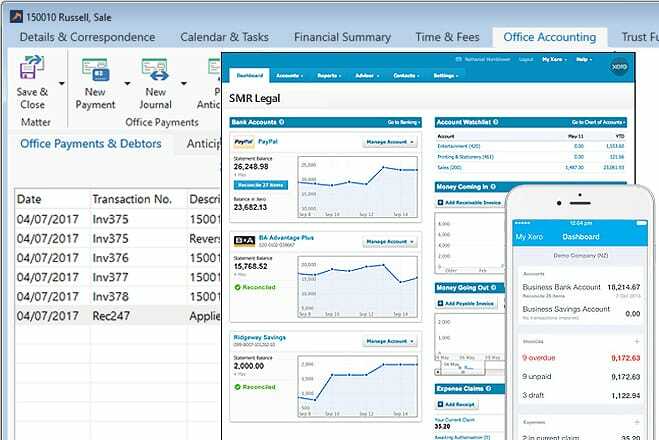 Xero integrated with LEAP, helps with invoicing, paying bills, sales tax returns, reporting and much more for your firm. Because Xero is all online, you can work when and where you want. You can even invite your team so working together on financials is easy. Mobility – you can login via your PC, Mac or mobile device. Visibility - bank statements are automatically imported and categorized, letting you see your cashflow in real-time. Collaboration - legal professionals and support staff can all work from anywhere, to look after your General Ledger, BAS and payroll requirements. Learn more about how Xero integrates with LEAP.